Like many companies that have been around a long time and have systems that they built for themselves, technological milestones often create obstacles and dead ends. You know the year 2000 when the lights will no longer work, people will be starving, apocalypse and the launch of nuclear missiles, all because of some obscure line of code missed in the billions written. This was a milestone event most of us remember. We knew it was coming and it was not until we starting getting closer did the impact of what we had to just “look” at hit home and reality check us. It was not the code so much as the verification. How often do we head down the technology road developing solutions that create silos of information or dependence on resources that continually grow and strain our budgets and growth? Norscot faced this situation and after evaluating new solutions and solution providers, they decided they needed an organization that would work side-by-side with its staff and understand the company’s unique operating environment. Read the full Norscot story by clicking this link. The growth technology and constant change demand technology departments to continually evolve to meet customer demands. This requires ever increasing resources which are hard to manage internally without an equally large staff. Do you hire the staff or do you partner with an organization that has the staff? In Norscot’s case the partnership that developed between them and VAI, their Enterprise Resource Planning (ERP) provider, is testimony to solid research and good-fit. There are a great number of equally great companies providing ERP solutions. The key to success is finding the right partner for your industry and your challenges. It is not hard and also not easy to find a solution provider. The process for finding a solution provider and a solution is the same and should come first. 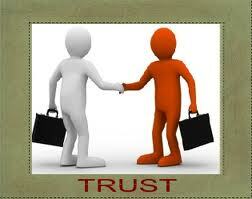 For long term successful growth you will be partnering with that organization. In the future will they be implementing new technologies that you will need for your growth? A trusted advisor can help here too. Invest your time in the solution provider and the solution comes along for the ride and will certainly be a good fit. The support needs to not only be before the sale, but during the conversion and implementation, as well as afterwards. That is why you choose a company. Choose your company partner as opposed to doing the changes in-house. This is not a onetime purchase. Like raising a child, it is a maturing process that evolves over time. You are really buying the solution provider, not the solution. This company was able to grow its business without having to build staff overload to meet the new challenges. This is an example of a good fit. There were many challenges along the way, however, since there was a true partnership, those challenges were met and a foundation for future growth created. This is an example of the classic win-win situation. Both organizations fulfill their roles and mutual success resulting. Dolvin Consulting works with Manufacturers, Distributors and Specialty Retailers to help them find the right solution to today’s challenges that also lay the foundation for the future. Contact us today to see how we can help your business grow. Web sites allow businesses to update information about their products and services quickly and easily and a web site is an effect way to communicate your schedules, events, promotions, and product and service support to your customers.